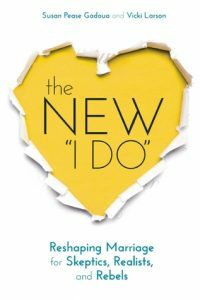 The aptly titled book, The New “I Do”: Reshaping Marriage for Skeptics, Realists, and Rebels by Susan Pease Gadoua and Vicki Larson, challenges our preconceived notions about marriage. While The New “I Do” is geared toward those currently contemplating marriage, those who have already said their vows will still find it quite applicable and enjoyable. Before the authors spell out the pros and cons of the varying untraditional marriage arrangements, Pease Gadoua and Larson urge readers to really think about what they want from a marriage, even including this fill-in-the-blank sentence, “Marriage is…” They also present over 20 questions solely dedicated to helping readers decide if getting married at all is even the right call. Just because Pease Gadoua and Larson have unique opinions about marriage it certainly doesn’t mean they treat the union lightly — quite the opposite. “[A]t its core, marriage is a legal contract,” the authors explain. “By marrying, you not only make a public statement of your commitment but you also are combining your home, family, and social and financial structures. In essence, marriage is a business deal,” write Pease Gadoua and Larson. In this vein, they also help readers decide whether they want a prenuptial agreement as part of their marriage contract. While technically I already knew this information, the wording certainly provided me with a reality check. The authors’ give a fresh, simplified and unromanticized way of looking at the institution of marriage that many readers may not have ever considered. If you are not already married, you may very well find your new “I do” in the pages of this book. Even if you are married, you’re not excluded. “If your marriage isn’t working, do something different. Change your attitude, change your behavior, change your actions, switch to one of the other marital models we offer in this book,” Pease Gadoua and Larson advise. As someone who is indeed married, I found myself connecting to the section about one type of marriage they discuss, the companionship marriage. 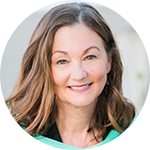 The authors write, “Perhaps no one understands the desire for companionship in a marriage more than couples that choose to be childfree.” As a woman who has made this choice, it thrilled me to see the subject of childfree companionship broached so eloquently. In The New “I Do” Pease Gadoua and Larson give the skeptics, realists, and rebels a worthy read, and anyone looking to make their marriage last.